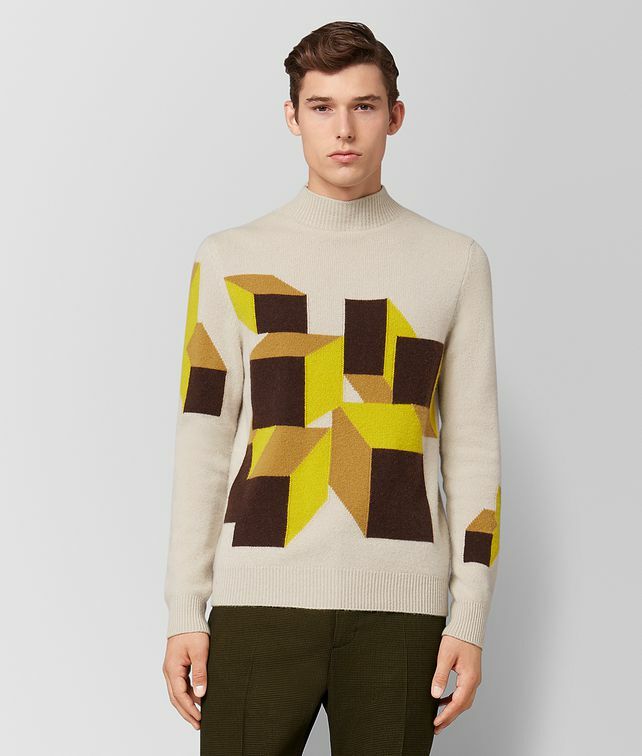 This cashmere mock neck sweater features an intarsia designed in a cubic motif inspired by the architecture of New York City and seen throughout the Fall/Winter 18 collection. The pattern lends graphic punch to a winter wardrobe staple. Finished with a ribbed neck and cuffs.